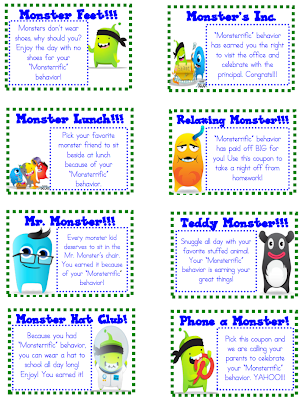 Have your students told you about all the coupons they are earning for their good behavior? There are lots of ways to get them. 2. If they have 5 Dojo points and their name is in the mystery student box. 3. If they earn more than 25 Dojo points a week. 4. If they do something incredibly awesome! Below you will see the coupons and the rewards they have a chance of earning. Right now the two most popular are the "Monster's Inc." and the "Mr. 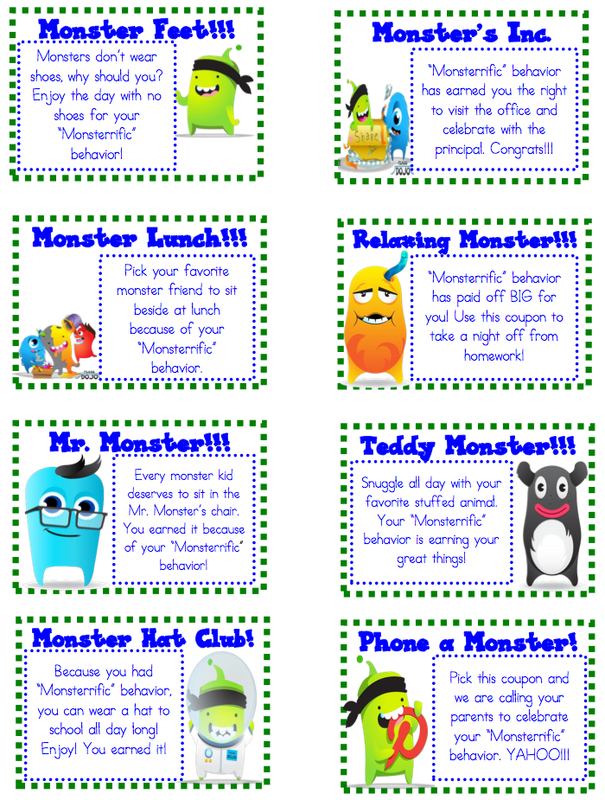 Monster." They love going to the office for Dr. Pridgen to brag on them, and the LOVE to sit in my rolling chair. I made the mistake one day to be over dramatic about how I just hate to lose my chair, and now they make it their goal to get it every day! But...I never sit down so I really don't mind. They keep their coupons at school. Be sure to ask them which ones they have earned!